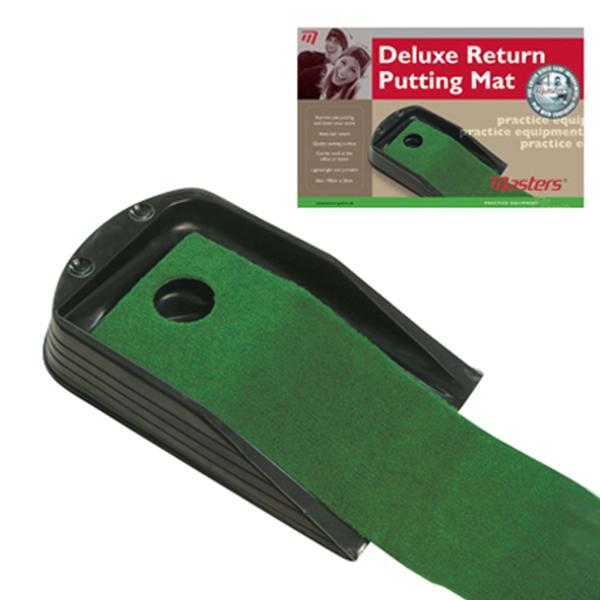 The Masters Mat is great value for money and will allow for practice putting for hours on end in the comfort of your home. 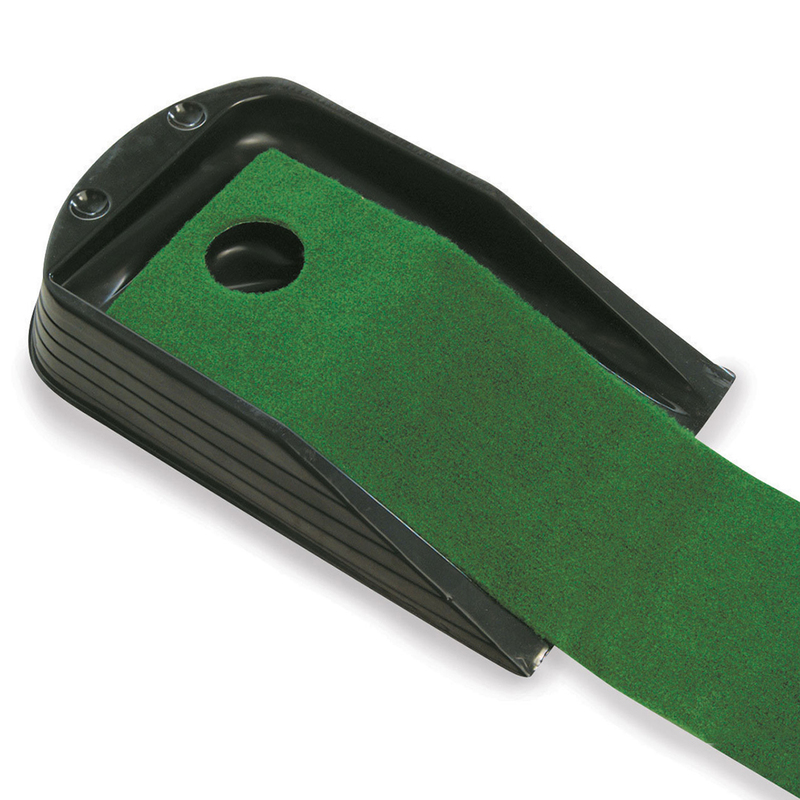 You will get a real green like feel to this deluxe putting mat, the mat slopes up at the end so you need to give it that little bit more speed to get it up to the hole. With its real green like feel design, this practice putting mat will improve your performance on the greens. The ball will roll back down the alley at the side so you don’t even need to go and retrieve the ball allowing you to practice putting for longer.